The multifaceted panel of Martin Giese, Managing Director of the startup incubator Xpreneurs, Sabine Kroh, founder and CEO of the startup call a midwife, Till Ammelburg, Business Development Manager at TechCode Berlin, and Christian Hirte, Parliamentary State Secretary at the Federal Ministry of Economic Affairs and Energy (BMWi), provided a comprehensive impression of the international startup scene and Germany’s place within it. Setting the stage was Christian Hirte, who began the evening with an introduction to the German federal government’s strategy to stimulate Germany’s startup culture. In partnership with the Kreditanstalt für Wiederaufbau (KfW), the BMWi has recently established a vent ure fund dedicated to early-stage investment in German startups. Offering German startups the capital they need to get off the ground would disincentive them from seeking funding abroad, such as in the United States or China. Recognizing that these two countries currently dominate the international tech scene, Hirte nevertheless provided a positive outlook for Germany’s tech companies, stressing German leadership in scientific research and its manufacturing sector. The German government is performing a delicate balancing act of preserving the traditional strengths of its economy while promoting innovation. As Business Development Manager at TechCode Berlin, a Chinese network of startup incubators with additional locations in Shenzhen, Shanghai, Silicon Valley, Boston, Tel Aviv and Potsdam, Till Ammelburg consults with German startups looking to expand into the Chinese market. The challenges of entering one of the largest – and yet in many ways also one of the most secluded – markets on Earth can only be overcome by developing ‘China competency’, as well as finding niches where German startups have a strong advantage, such as in smart manufacturing and Business-2-Business services. 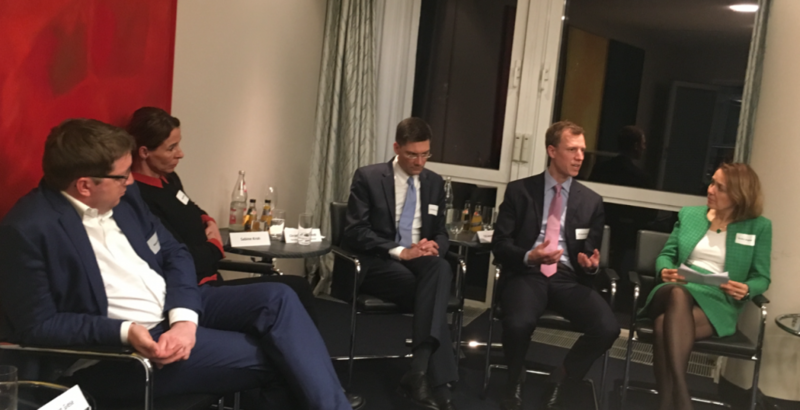 While acknowledging that China’s tech sector currently dwarves that of Germany, Ammelburg argued that German startups have much to offer, and that closer contact with Chinese tech companies would ultimately benefit German businesses. Although Sabine Kroh developed her startup call a midwife in Germany, her eyes were always trained on the outside world. With over 20 midwives speaking nearly a dozen languages, call a midwife offers both expectant and new mothers with professional consulting through the web. Having recently established a partnership in Tanzania, Sabine Kroh commented that her business model was always designed with women from countries like Tanzania in mind. While access to professional midwives is severely lacking in many parts of East Africa, internet access and trust in technology is strong. One can even find a strong Wi-Fi signal on the top of Mt. Kilimanjaro, commented Mrs. Kroh. Call a midwife represents a successful example of taking German expertise and applying it to a foreign market. Finally, Martin Giese discussed how his work at Xpreneurs has helped dozens of startups reach new heights and new markets. In his experience, German startups enjoy a number of competitive advantages over those from other countries. Unlike Silicon Valley, where programmers may develop an idea for a few months then move on to something else, software engineers in Germany will not abandon a potential good idea so willingly. The ‘made in Germany’ brand also continues to carry weight abroad. Giese also touched upon the question of European data regulation and its supposed stymying effect on Artificial Intelligence (AI) research: when it comes to machine learning, the quality of a data set matters as much as its size. Brilliant ideas in AI do not necessarily require terabytes of information. 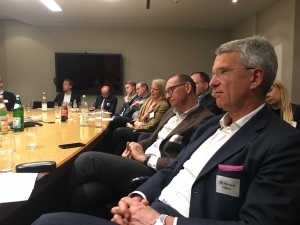 The night’s discussion, which took guests all over the world, from Tanzania to Silicon Valley to Shenzhen, emphasized how German startups are inextricably linked to new ideas from abroad. It should come as no surprise that 80 percent of startups founded in Germany plan to expand their businesses into foreign markets. By the end of the night, it was clear that many hurdles and challenges face the German startup scene. 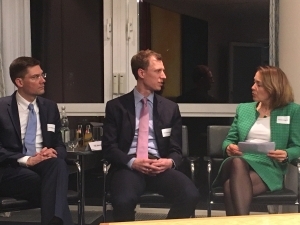 However, as expressed by the evening’s guests – above all Christian Hirte – there are reasons to be optimistic about its future.